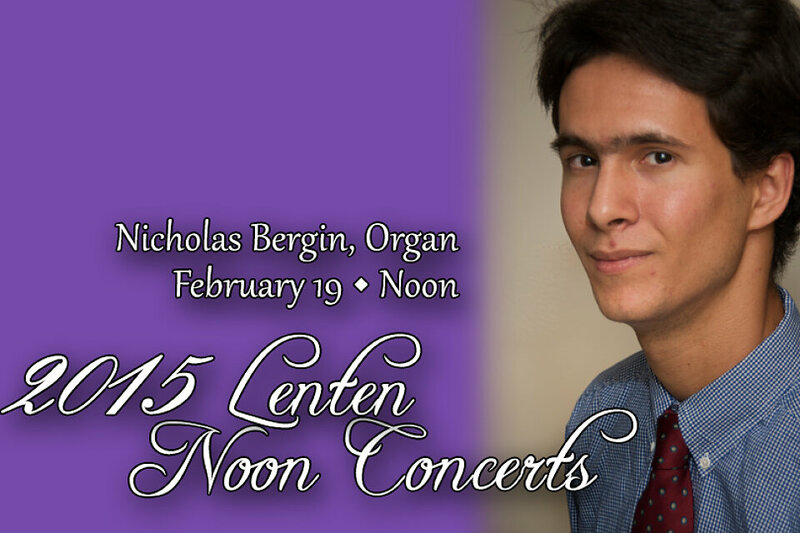 To begin our series of annual concerts in Lent we welcome Nicholas Bergin, Organist at First Presbyterian Church, Nashville, a position he has held since July of 2012. He teaches classes in church music at Lipscomb University as well. Nicholas' program will include music of Bach, Brahms, Vaughan Williams, and Leighton.